What Does Your Dealership’s Website Really Need to Rank on Search Engines? The higher you rank on search engines, the higher your likelihood is of selling cars. Just about every dealership wants to sell more cars: that means more money in your pocket. But how do you get to the top of those search rankings? The more you read about search engine optimization, the more complicated and difficult it sounds. 1. Your own domain and your own hosting solutions. If you’re not sure how to obtain either of those two things, reaching out to a web developer who can help you make sure that you have your own domain and your own hosting can ensure that you have the freedom and the flexibility to build your website and manage your website the way that best serves your dealership. Most dealerships have a lot of pictures and text, all of which have to be constantly updated, so finding a hosting and content management option that makes this easy will simplify your life. It is impossible to overstate the importance of having original content. This starts with written content but extends to videos, pictures, podcasts, and beyond. Do not use anything on your website that isn’t yours—it’s bad for your reputation and it is really bad for search engine optimization. Luckily, as a dealership, you have the opportunity to add a lot of original content about the vehicles on your lot. While you might be able to use stock photos for those vehicles, consider taking and posting pictures of the real cars on your lot and writing descriptions about them and their features so your content is as original as possible. 3. Backlinks that were built naturally. Don’t buy backlinks. It can be tempting, especially because there are services that promise your hundreds of backlinks for a very low price. These backlinks are first, not going to be in locations where real customers would ever find them and second, going to be obvious to Google, who does not take kindly to those who try to game their system. You can build backlinks by posting helpful information on relevant forums and answer websites, as well as by guest blogging. Plus, every time your content is shared somewhere on the internet, it creates a high-quality backlink. 4. A website design that is SEO optimized. Yes, even your design can be SEO optimized. If you are going to pick a template off of WordPress or another similar service, look for one that has clean coding and loads quickly. Google prefers both of these aspects of a design over websites that do not have clean coding and quick load speeds. It is important to note that you can also have a website designed specifically for you that is likely to have both of these featured, if you work with a web developer that understands the importance of a great design to functional automotive SEO. There have always been rumors that having a sitemap helps Google index your website faster and therefore rank your faster. While a sitemap does enable a search engine to index your website faster, it doesn’t necessary ensure you a better ranking. What it does, however, is ensure that your website is easy to navigate. Having a sitemap ensures that no matter what your site visitor is looking for, they can find it, whether the sitemap helps you built a better site navigation system or it simply provides a way for that person to see all of the pages on your website at once. Social signals have been and will continue to be one of Google’s most important ranking factors. While social signals might not relate directly to your dealership’s website, they do help Google see the legitimacy and relevancy of your website. When you have an active social media profile with engaged followers, you look more legitimate and you also appear more authoritative. Building and maintain an active social media presence, on at least one of the biggest media, is an important part of ranking your dealership’s website with SEO. While it is important to have original content, it is just as important to have updated content. Again, this is very easy for a dealership, that has fairly regular turnover of its stock. 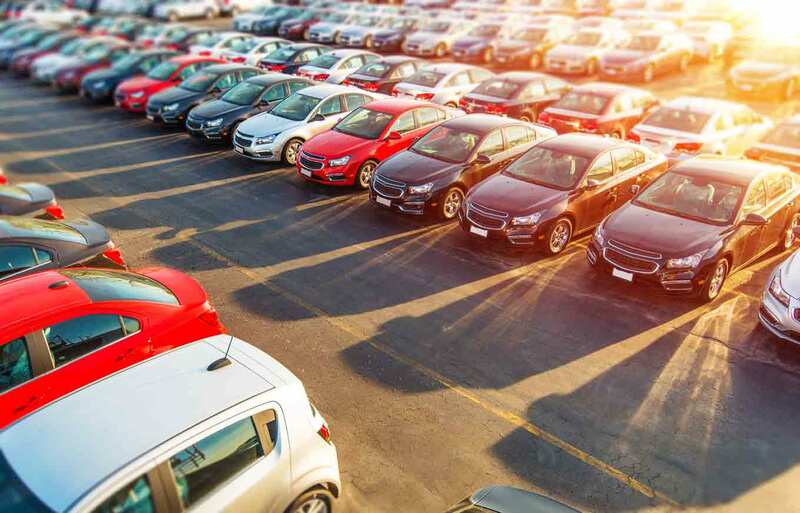 As you sell one car, you can remove it and its description from your website and replace it with a new car that you have just received on your lot. Even if you do not post individualized pictures and descriptions for each of the cars on your lot, you can still keep your website updated with a blog, where your post content that is relevant to both car shoppers and car owners. Following these guidelines will help you create a strong foundation for your website. It is important to remember that SEO is an ongoing process—even if you are the very first search result with every relevant keyword, your job is not done. Hiring a professional to take on your dealership’s automotive SEO can be a great way to not only get to the top of the search results, but also to stay there.